This services envelopes your home in a protective barrier to deter many common home invaders. Treatments are made to the outside of the home and high traffic areas of the landscape. Bait boxes are placed to control rodent populations as needed. Professional, licensed applicators apply a broad-spectrum control around the home focusing on any areas where pests may gain entry such as windows and doors. We also inspect and treat nearby areas where pests commonly rest and lay eggs such as under decks and stored firewood. The home will also be inspected for wasps and other stinging insects. 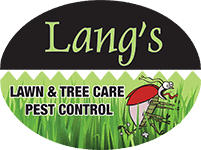 Covered insects include: crickets, clover mites, earwigs, ground beetles, ants & carpenter ants, Flying insects (wasps, hornets & bees), spiders, pill/sow bugs, centipedes, and millipedes.